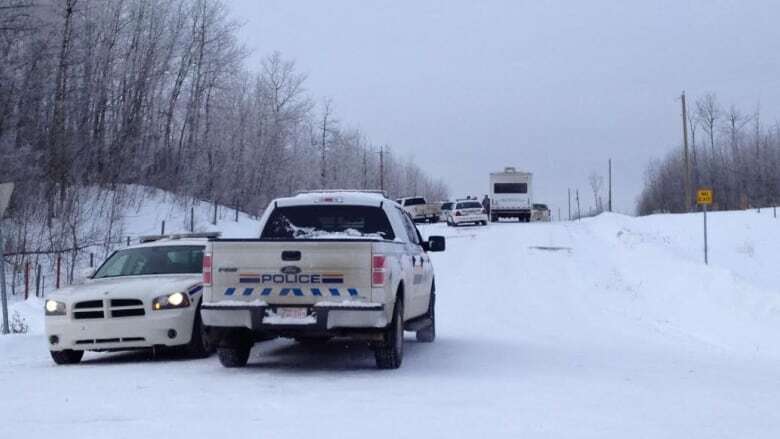 An investigation into the conduct of RCMP officers during a shootout with a man near Tofield, Alta., one year ago, has cleared the officers of any wrongdoing. An investigation into the conduct of RCMP officers during a shootout with a man near Tofield, Alta., one year ago, cleared the officers of any wrongdoing. ASIRT, or the Alberta Serious Incident Response Team, investigates incidents involving Alberta’s police that have resulted in serious injury or death to any person, as well as serious or sensitive allegations of police misconduct. On Jan. 6, 2014, two rural homes were broken into and firearms stolen. Five RCMP officers went to the home of an associate of the suspect to seek information about his whereabouts. The officers found the man at the home at Township Road 522 and Range Road 192, east of Elk Island National Park, leading to a confrontation. One officer was run down by vehicle, suffering life-threatening injuries including several broken bones and internal injuries. A second officer sustained a gunshot wound. The suspect was shot on both arms. Michael Johnson, 33, faces 36 charges — including four counts of attempted murder, break and enter, resisting arrest and operating a motor vehicle that was dangerous to the public.